This was my first calendar year of blogging, and I cannot believe that I have been blogging (off and on) for the past year and a half. Thanks to all of your out there who stop by and actually read what I have to write. Thanks also to all the support that you have given to my radio show. I see big things for the show in 2008. And, hopefully, you'll be there to share those moments with me. Be safe this weekend, and I'll talk to you next week. Happy New Year! I know, this sounds like the latest infomercial on late night television to get you to by some book that "doctors don't want you to have." Unfortunately, marketing tactics like this work. They sell books and my patients bring them in to ask me about them. (At least my patients come in and ask me about them, so that we can talk about it). 1. People should drink at least eight glasses of water a day. 2. We use only 10 percent of our brains. 3. Hair and fingernails continue to grow after death. 4. Shaving hair causes it to grow back faster, darker or coarser. 5. Reading in dim light ruins your eyesight. 6. Eating turkey makes people especially drowsy. 7. Cellphones create considerable electromagnetic interference in hospitals. Definitely check out the article for more details. I admit that a couple from that list surprised me (I won't tell you which ones - HA!). Not only is the article interesting, but also are the 142 comments (as of this posting) that follow the article. Some people added to this list. Others who identify themselves as "physicians" say that they knew all of these were myths and that the title is misleading. Still others are taking this opportunity to attack traditional western medical care to promote their own "non-traditional" or "alternative" methods of wellness. For me, it's a fun article. I'm not taking this article too seriously. Did I learn something - yes. Did it rock my world - not really. This shows again that a lot of angry people live in the comments section. Kind of sad, if you think about it. Take it easy people! I was reviewing my posts for the past 12 months, I can't help but be amazed by the journey that this blog has taken. I've went through many highs and one notable low during my blog life this year. But, in reviewing all my posts this year, I have chosen one (for no particular reason), as my 2007 Post of the year. 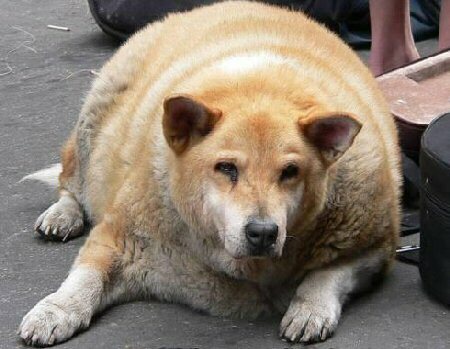 This is called Fat Fido and the comment section is also an interesting read. Enjoy the walk down memory lane. So, it's the day after Christmas. And, what are the only commercials that I see on television this morning? It's all those, "Did you eat too many Christmas cookies? Why not make that new year's resolution now to lose the weight that you have always wanted to?" Sheesh! Gimme a break, would ya? For me, I'm always striving toward improving my physical and mental health. But, like everybody else, it's tough to follow that diet and exercise program, as well as dealing with stress. I always hope that next year will be better than this year. I'm taking a few days off from the blog. Actually, one of the things I have to do is finish my Christmas shopping this weekend and other things to get ready for Tuesday. So, I just wanted to wish everyone out there in blog land a happy and safe long weekend. A study of nearly 50,000 Japanese men aged 40-69 found that those who drank five or more cups of green tea a day reduced their risk of having progressive prostate cancer by half, compared with those who drank a cup or less, according to the Epidemiology and Prevention Division of the National Cancer Center in Tokyo. Christmas is less than a week away now (Wow, I can't believe that). So, if you're like me and do all of your Christmas shopping on Christmas Eve (It's really fun! ), then don't forget about the gift of tea. Who knows? It may make a good re-gift for someone in 2008. HA! As everyone knows, I'm a little obsessive over my blog stats (I need to work on that). Anyway, I was looking at my stats the other day to see where people are clicking from. And I saw this site, which I really found intriguing. 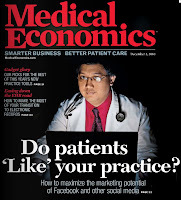 Here's the post title, "Physician Blogs: The secret medical network of doctors that blog." I never knew I was part of a secret society. This phrase has the undertones of the Da Vinci code (see YouTube clip above) - Yeesh! I guess I need to learn the secret handshake and get the secret decoder ring. As far as the list goes, it's an interesting list. I wonder if there is a more complete list out there. Where would there be a database where one would go to see the physician bloggers? I guess this is a good start. I'll have to check some of these links out. Hot off the press from the Associated Press is a story stating that Congress is about to pass legislation which avoids the proposed 10% cut in Medicare payment scheduled to take place 14 days from now. The legislation crafted by Democratic and Republican leaders of the Senate Finance Committee would give doctors a 0.5 percent raise when they treat the elderly and disabled. The Senate was expected to approve the bill Tuesday or Wednesday. The legislation would then move to the House, which hopes to wrap up work this week. Like practically everything else in government, there's a catch. What's the catch? Well, this HUGE zero-point-five percent raise in Medicare payment will expire on June 30, 2008. Which means, that docs will have to go through this stress and anguish and Congressional advocacy efforts all over again in six months. Docs, especially GP's (or PA's, my GP was on vacation and also works with a PA who handles some things, you can make an appointment with either but the PA is available much sooner usually) are so pressed-for time, something needs to CHANGE to make it so they can spend a little more time with each patient, geez! Yet not lose money because they might be seeing fewer by a couple, each day . . . . . and then there's all the paperwork, etc. I'm sure Doctor Anonymous, aka Dr. A, can chime in with some comments to this post, from his point of view (he's a GP). Presuming this legislation passes, I would like to thank Congress for the HUGE raise for taking care of Medicare patients. Of course, the private insurance companies will follow suit, or even continue their tradition of sometimes paying 80-90% of what Medicare pays. For all the Senators and Congress representatives out there reading this - Merry Christmas (er, for the politically correct, Happy Winter Solstice) and we'll see you in June when we have to do this dance all over again. So, it's the week before Christmas. The office is deluged with sweets, and little gifts, and trinkets, and sweets. Did I mention sweets? I get a sugar high just walking through the break room. Sheesh! Anyway, sometimes I get a gift basket on my desk. And, sometimes it's stuff that I don't really need or want. So, why not re-gift? (a). To give a gift that you have received to someone else. (b). scandalously repackaging and claiming to have purchased on your own a previously received hideous piece of crapola and giving it to someone else as if you had actually been thinking about what they would enjoy. Now, no one will admit it, but we all do it. It's those gifts that you get at the office Christmas party. You know, those "Secret Santa" gifts or in the office/work gift exchange. How about even on Christmas day (at your relative's house). "What would I ever do with this?," you ask yourself. Well, why not give the gift that keeps on giving. That's where the magic of re-gifting comes in. Yes, boys and girls, it's that time of year again for the Medgadget Medical Weblog Awards. This will be the fourth edition of the awards and this year they are sponsored by scrubsgallery.com (must be nice to have a sponsor). There are seven categories for the 2007 awards. Nominations can be made in the comment section on that particular post. Contrary to last year, I'm not asking for my blog to be nominated. In fact, I'm requesting that this blog not be nominated. I think there are a lot of other great medical blogs out there. In addition, I think I know some of the judges. So, that there is no awkwardness or any kind of conflict of interest, I respectfully decline any nomination for the Medgadget Awards. Good luck to all, and be sure to nominate your favorite (other) medical blogs! The deadline for nominations is Monday, December 31. We had quite a winter storm come through here over the weekend. Tough for a doc like me being on call trying to get to and from work - although I'm less than 5 miles from the hospital. As I was scanning the medical news, I saw this story from ABCNews from last week. Tuesday morning, a 2-pound baby named Dorotea Orgovanyi was born at 6:10 a.m. in Mount Pleasant, Iowa — three months premature and about 50 miles away from desperately needed treatment at University of Iowa Hospitals. Studies show that risk of death increases significantly when a preterm baby is born in a small hospital that does not have the specialized facilities for the tiny patients. Under normal conditions, an ambulance or helicopter would have transported a special response unit to pick up Dorotea. But an ice storm made it difficult for the University of Iowa's Air Care helicopter and the ambulance to attempt such a dangerous trip. Travel advisories broadcast across the state warned people to stay off the dangerous roads. Knowing the small community hospital in Henry County didn't have the facilities to treat the preemie, Mike Acarregui and John Dagle, neonatal doctors at the University of Iowa, took action. Acarregui grabbed a rescue pack and the two doctors drove Acarregui's Audi four-wheel-drive sedan to pick up Dorotea and bring her to Iowa City. Meanwhile, doctors in Mount Pleasant improvised their own resources, rebuilding a warming bed in an ambulance for the baby to use on the trip back to Iowa City. Our hospital here is a small community hospital. And, I take care of newborns. Although I cannot exactly relate to this situation, I can definitely imagine what this small hospital was going through. We don't routinely take care of preemies. We stabilize them until an ambulance with neonatal specialists can get there and take over care. As for this case, great job docs! I so remember this video. This is when MTV actually played videos on their channel. This was seen as "groundbreaking" at the time with animation. Plus, still enjoy Tom Petty and The Heartbreakers. My favorite songs include this one and Free Falling. Ah, yes, high school memories. Last night's show was definitely different than any of the previous shows in that you can hear the emotion in the voice of MexicoMedStudent. The way that he described his experience with his medical school giving him the runaround on procedural and paperwork issues - the frustration is palpable. He has his wife and daughter with him close to the medical school and hospital campus - just bought a house. His wife had surgery in the past few months. And, now, he was charged tuition for classes he did not attend. On top of all that, his status as a continuing medical student is even in question. I cannot even imagine being in another country, with my family, recently buying a home, and being told that your medical school career is over. What are the options here? Pick up and go home to Texas? Transfer to another medical school? What about all the debt that you have already accumulated? This story has also moved some bloggers out there so much that they are talking about this today. I encourage you to read the thoughs of Fat Doctor, Scan Man, and AbelPharmBoy. If you listened to the show live or on the archives, how do you feel about the situation? Something like this probably happens more than we know. So, MexicoMedStudent, my thoughts and prayers are with you and your family. I hope you get good news from "that committee" that you referred to on the show last night. Keep "Runnin Down Your Dream" of becoming a doctor. We're all pulling for you! Update: Enrico writes a very poignant and reflective epilogue to yesterday's show. I encourage you to check it out. Also, there's a great picture of his wife and daughter. NHS Blog Doctor: What's happened? This is not an easy comment to write, and I apologise for the lack of a full post, but 'John' was more than a little security conscious when it came to passwords, I have contacted "blogger" to explain circumstances but as yet have not had a reply. Getting to the point, so to speak, I am a senior partner at 'John's practice, I have only become aware of this 'weblog' after accessing his email account through our internal system. Other partners have read this website, but none of us knew who the author was - although in retrospect there are a number of clues we could have picked up on! There is no easy way to say this, but the doctor known as 'John' or 'Crippen' passed away in a road traffic accident mid-October. Although I appreciate the esteem in which many of you obviously held him, I must ask that the emails cease as of now - they are all redirected to our mail server and this is causing some difficulty. Dr. Crippen's identity may no longer need to be secret for his own purposes, but out of respect for his family and remaining colleagues I shall not be sharing this here, neither will I post another message or reply to any left. This webblog will be removed once I can circumnavigate the security protocols for obvious reasons of confidentiality. This said, I thank all who visit here for their support of our dear, and much missed colleague. Update: People have been e-mailing me over the past 9-10 hours saying this is not true. I don't want to "out" my sources here. I really feel bad if I'm spreading an inaccurate statement. But, I guess there really is no way to confirm or not confirm this, unless someone in the UK can help clarify this. 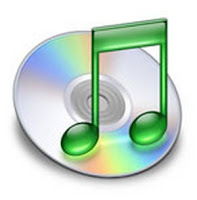 If someone wants to go "on the record," put it on your blog and I'll link to it. Update: Someone commented on KevinMD that this report is false. The Holford Watch states "unequivocally that there is no truth to this cruel story." The good news is that I'm not going to cancel The Doctor Anonymous Show tonight. The bad news (and it's not really bad news) is that something has come up to make me change topics for the show tonight. First of all, Dr. Val contacted me saying that she was feeling ill and was not able to be on the show tonight. Everyone send Dr. Val a "Get Well" e-mail! I have three words for her - "Physician, Heal Thy Self.' HA! Hope you're feeling better. This post is way late in coming, but I can’t hold it in anymore. As many of you might remember, I took a voluntary leave from school this semester to focus on personal matters. I said that the worst of all possibilities was that I’d look back on this time, now drawing nearer to a close, and feel that I wasted 6 months of my life, having gotten no further in my personal goals. Well, UAG doesn’t disappoint, and they’ve trumped themselves in the sodomizing students department. While I do have some regrets about things I didn’t get to accomplish during my break (which, as I remind myself, is not over), the reality is UAG has given me the biggest stressor of all: creating an untenable situation which would force me to leave school altogether, the last two years of my life wasted and over 120k of debt for my troubles. Wow! You can feel the emotion just come through the screen. So, naturally, he's not really in the holiday spirit. One of the reasons I started a radio show was to talk with people and have them share their stories - and this is a compelling one. This is a show that you need to listen to. There's a lot of crap on television that is called "reality TV." But, boys and girls, this is real life. This is a story of a guy who has a dream of being a doctor. From reading his blog and talking with him a little bit in the last hour, someone who has went through some personal and professional trials and tribulations. And, just TODAY, learned that his dream may be delayed, or even destroyed by the medical school that he his attending. This is a story that needs to be told. This is a story that you have to listen to. This is a story that you need to listen to. Tune in Tonight at 9pm Eastern Standard Time on The Doctor Anonymous Show. Join us tonight for The Doctor Anonymous Holiday Show. Our distinguished group of panelists include Dr. Val, MexicoMedStudent, and Dr. Blogstein. You can join us as well by calling the show and/or being in the chat room. Need any help getting your thoughts going on this topic? Well, I have the perfect show-prep material for you. The Mo Show last night also talked holiday stuff, so you can check that out. See you tonight! *After registering, don't forget to make me you BlogTalkRadio "friend" and "favorite show." You can even give me 5 stars if you like the show. These will help my stature as a BTR host (hehe). Thanks in advance for considering this! *To get to my show site, click here. You can even ask the BTR site to send you an e-mail reminder so you don't miss the show! As show time gets closer, keep hitting "refresh" on your browser until you see the "Click to Listen" button. Then, of course, press the "Click to Listen" button. So, you get all the way to the airport. You wait in line to find a parking spot. You wait in line at your airline check in desk. You wait in line to drop off your checked bags at the security station. You wait in line at the next security check point before getting to your gate. Your patience is wearing thin, because you just want to get to your gate. As you're waiting in line with the other million people who are waiting to get through, you see a sign that says this: "The following liquid materials are prohibited and cannot pass through this checkpoint." What? Who made up all these silly rules? What else am I not allowed to bring on the plane? 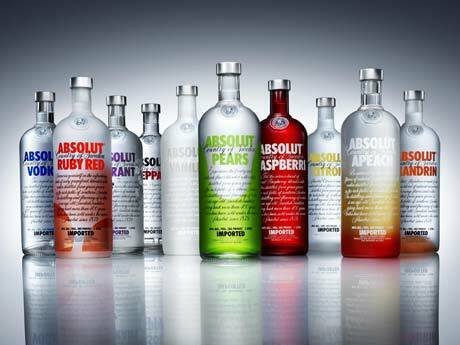 Berlin - A man nearly died from alcohol poisoning after quaffing two pints of vodka at an airport security check instead of handing it over to comply with new rules about carrying liquids aboard a plane, police said Wednesday. The incident occurred Tuesday at the Nuremberg airport, where the 64-year-old man was switching planes on his way home to Dresden from a vacation in Egypt. New airport rules prohibit passengers from carrying larger quantities of liquid onto planes, and he was told at a security check he would have to either throw out the bottle of vodka or pay a fee to have his carry-on bag checked. Instead, he chugged the vodka — and was quickly unable to stand or otherwise function, police said. A doctor called to the scene determined he had possibly life-threatening alcohol poisoning, and he was sent to a Nuremberg clinic for treatment. The man, whose name was not released, is expected to be able to go home in a few days. Join us this week for the long awaited Doctor Anonymous Holiday Show! Even though there will be very little medicine discussed, but there will be a lot of fun! We will be talking about everything to do with the holidays including Christmas, Hanukkah, New Year's, and any other holidays that come at this time of year. We will be "debating" the very controversial topics as the following: Favorite Holiday Cartoon, Best/Worst Holiday song, Favorite Holiday Movie, and any other topics that come up. I know I've been discouraging people from sending me e-mail and leaving comments about their faves, but Kb sent me her favorite holiday song and favorite holiday movie. I encourage the rest of my faithful Doctor Anonymous listeners to call into the show on Thursday night to share your thoughts. We have a distinguished panel who will be talking about these and other holiday issues. They are Dr. Val, MexicoMedStudent, and BlogTalkRadio personality Dr. Blogstein. So, write it down! 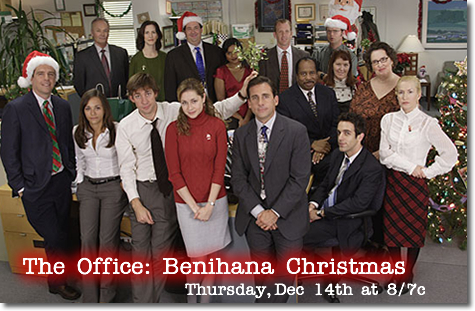 Thursday, December 13th, 2007 at 9pm Eastern Standard Time. Advertise it on your blog. 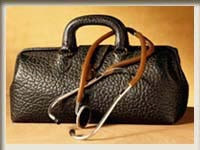 The Doctor Anonymous Holiday Show on Blog Talk Radio. Be there! Anyone who has been admitted to the hospital or whose family member has been admitted to the hospital or works in the hospital knows this fact - The hospital is the worst place to get some sleep - Even though I "prescribe" adequate sleep to everyone who comes into my clinic. Well, now, there is research that was just released which supports this. According to this article from Reuters, researchers at the University of Texas Southwestern found that the healing process may be interrupted because of inadequate sleep (restorative sleep) in the hospital. [Dr. Randall Friese, lead researcher] monitored the sleep patterns of 16 patients in the ICU who had suffered traumatic injuries or had abdominal surgery. Although it appeared the patients were getting enough sleep, Friese said their brain wave patterns showed their sleep was fragmented and superficial. "There are two major things contributing to abnormal sleep in these patients -- the pathophysiology of the disease process itself and the stressful environment of the ICU," Friese said. "If we can neutralize the stressful environment, maybe we can shorten the hospital stay, lower infection risks and increase patient wound healing." Now, don't get me wrong, I'm not saying totally ignore the intensive care patient while in the hospital. But, there may be something to this sleep/healing connection. And, if there is some way to increase restorative sleep and accelerate healing and shorten the hospital stay, I'm all for looking into it more. I know our patients would appreciate this. Here's something that the majority of the press will not report on - an actual price drop in gasoline - at least in Ohio. 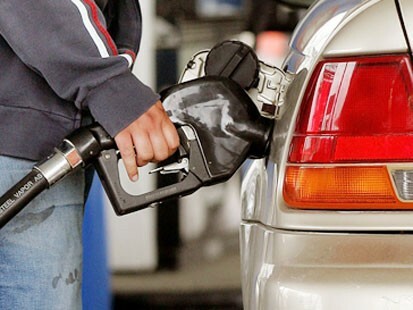 According to the Associated Press, Ohio gasoline prices have dropped 12 cents in one week. Yipee! The statewide price is now $2.91 according to the American Automobile Association. A week ago, prices were just above three dollars a gallon. Now, everyone has heard about anti-biotics. But, look out, because the latest craze in the health food world is the area of "pro-biotics." What are these? Well, as you can probably figure out, these are "friendly" bacteria - and they are found in the digestive tract. A recent article from the Associated Press discusses this further. Experts say probiotics are generally safe, and in some cases might be helpful. More research is needed, and it's a hot new area, reflecting a growing understanding of the role that naturally occurring intestinal bacteria play in health. This week, the National Institutes of Health is hosting a conference where top scientists will discuss recent advances. From a business standpoint, this is a fast growing sector. According to the article, over 150 food products that have probiotics have been introduced in the market this year - compared to about 100 last year and just 40 the year before that. But, do they actually work? Small studies have suggested that certain probiotics might help treat or prevent some types of gastroenteritis, diarrhea and allergic skin reactions, and the bugs are being investigated for many other ailments. The NIH has declared the study of gastrointestinal bacteria and probiotics a major research initiative. The agency's upcoming meeting will highlight current science so it can identify research gaps and determine the direction of future research, said Crystal McDade-Ngutter, who heads an NIH working group on the topic. It's still too early to say whether these probiotics deliver substantial health benefits. The research still has to be done. Pro-biotic detractors say that without a gastrointestinal condition, probiotics just exhibit a placebo effect. In my clinical experience, in talking with some of the specialists around here, feelings are mixed as well. Some put all their patients on probiotics, and others say it's just a waste of money and give patients false hope of symptom relief. Me? I'm cautiously optimistic. I have read and I am intrigued from some of the early studies. But, I'm not completely sold - yet. Round 3: OTC Cholesterol Med? I talked about this before back on October 3, 2007 (why does that feel like two years ago as opposed to two months ago?). Anyway, USA Today is reporting that the US Food and Drug Administration (FDA) will again consider whether cholesterol medication will be able to be available without a prescription. 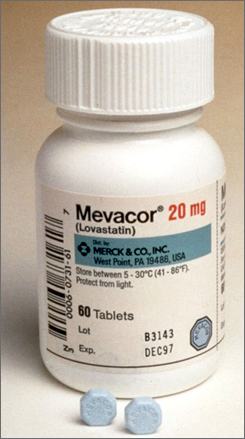 For the third time, Merck is seeking FDA approval to sell over-the-counter Mevacor, the brand name for lovastatin. In 2000 and 2005, advisory panels recommended against that move. The FDA is not bound by advisory committee recommendations, but it usually goes along with them. Public Citizen, a watchdog group (and, in my opinion, sometimes goes too far in the alarming the pubic at times), is against making cholesterol medications over the counter. I would agree with this group on this issue. On the other side of this issue is, of course, the pharmaceutical industry who has been chomping at the bit to push this entire drug class onto pharmacy shelves for patients to purchase and for docs to deal with the side effects. Over-the-counter Mevacor "fits with the philosophy that patients should take more responsibility for their health care decisions," says Antonio Gotto, former president of the American Heart Association and dean of New York's Weill Cornell Medical College. He will serve as a Merck consultant Thursday. Steve Francesco, a pharmaceutical industry consultant in West Orange, N.J., who specializes in prescription-to-nonprescription switches, says switching Mevacor "would be a real turning point." What would you do if you stole with seven million dollars? Would you try to hide out just 350 miles away and hope for the best? 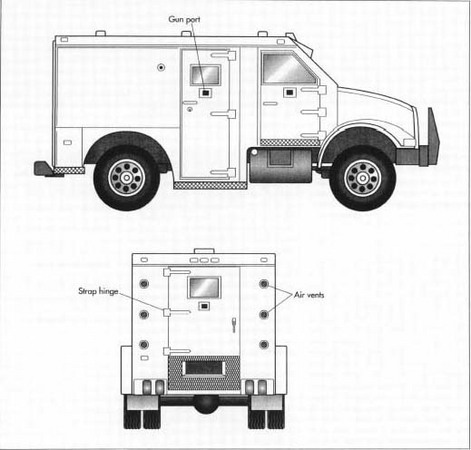 That's exactly what a trio of criminals did after nabbing an armored car. The story from our local paper is below. It's kind of interesting, what do you think? Youngstown — A trunk filled with more than $7 million can take most people, or at least the average imagination, on a trip around the world. While traveling, throw in exotic cars, expensive clothes and fascinating people. That same amount of stolen loot took Roger Dillon, 22, and his girlfriend Nicole Boyd, 24, as far as a trailer in Pipestem, W.Va. Extravagance? The couple did manage to buy an 18-year-old van along the way — before the FBI came knocking at the trailer door. Dillon and Boyd are charged in the theft of more than $7 million in cash and checks from an armored car company in Liberty Township. On the run, their heist spawned local pondering of where were they and what would you do had you done the deed. When they were arrested, you could almost hear the chorus back home: “West Virginia?” Piling on were the details of their plan. One cop called them stupid. So .... We wondered what others would do with more than $7 million and the world to explore? No, not that Office Christmas party. I mean, those Hollywood writers are on strike. We probably won't see a new Office episode for weeks (or even months). What do I watch on TV now? I'm catching up on re-runs of MASH and Whose Line Is It Anyway? So, our office Christmas party was Saturday night. It was actually at a new place for us. It's usually in this country club setting - which I don't really enjoy. It's really hard to have fun there. I always think of movies like Trading Places and other movies where people act non politically correct and get thrown out of the joint. This year, it was at a local coffee shop that had a lot of old historical memorabilia. Who knew this small town had so much history? The food and drink were great, and the atmosphere was perfect to mingle with the staff away from the office. I admit it was difficult to try to talk about anything other than work. I mean when you talk about medicine and medically related things for 8-10 hours a day with this same group of people, it can be hard to talk about anything else. But, it was nice to learn about other people's families and Christmas plans. Join us tonight for GruntDoc: Ramblings of an Emergency Physician in Texas. The "Most Popular Posts" section of the blog is also an interesting read, including "Nursing Home MAR’s sent to the ED with all times removed: A new and horrible trend." This post has garnered a slim 44(!) comments so far. See you tonight! Update: Thanks so much to Grunt Doc for being on the show. Also thanks to Dr. Val and Scanman for calling into the show. I really appreciate it. The chat room was as busy as I have see it. Maybe this show is really starting to catch on. Yay! In our interview, Grunt Doc talked about how he found his ER career (cute story). Then, we discuss medical television shows and how they portray docs. With regards to blogging, he mentions some of the first blogs that he read, including medical blogs. The GruntDoc blog started in May 2002. Dr. Val describes him as a "pioneer" in medical blogging, and I would have to agree. Then, right on cue, I get kicked off the system. I think it was Skype, but I'll have to do a post morteum on this show to figure out what happened. I don't know how long the silence was, but, as always, it was too long for me. If you did not tune in live, you missed a treat. Not only was the chat room hopping, but the video feed from my iSight camera was working and I was waving at the listeners - Live video feed - pretty cool. I've been trying on other shows to have a video feed as a guest, but without success, yet. I'm also kind of concerned because the archive for tonight's show is not available yet (30 minutes after the show ended). It's usually up by now. I'm starting to get worried. For the Grand Rounds Premiere show, I think it was about 18 hours before the archive was available on the BlogTalkRadio site. We'll see what happens this time. Next week, look out! It will be The Doctor Anonymous holiday show. Little medicine, but a lot of fun. I will have a panel of holiday experts (hehe) to debate the very controversial topics of the following -- favorite holiday song, fave holiday cartoon, fave holiday movie, and favorite holiday memories. The Panel: Dr. Val, MexicoMedStudent, and Blog Talk Radio personality Dr. Blogstein. So, come back next week for the fun. Have a great weekend! This week, The Doctor Anonymous Show welcomes the one and only GruntDoc who authors GruntDoc: Ramblings of an Emergency Physician in Texas. Among his blogging accomplishments include the 2004 Medgadget award for Best Medical Weblog (I'm jealous). I definitely recommend taking a look at the "My Favorite" section in the left hand column - especially "My Grandfathers' Guns," which was featured in the Editor's Picks of my Grand Rounds edition last year. My other recommendations include "Best Chief Complaint of The Night" from last year and "LCPL Anthony Sledd, USMC" from 2002. Join us on Thursday, December 6th, 2007 at 10PM Eastern Standard Time where we will talk about this and a whole lot more. You can also join us in the live chat room (the show within the show) or even call into the show to ask us a question. The chat room worked for the last show. Let's hope it works again. You'll just have to tune in to find out. Check here tomorrow for details. Anyway, our office is completely out of Diet Coke. What a travesty of justice! So, I ventured out to the local superstore and got my usual 20 ounce of caffeine fix to take with me back to work. As I was standing at the checkout counter, I heard this bag of M&Ms calling me. "Dr. A....."
I looked at it and the bag read, "Happy Holidays! Mint Chocolate - Limited Edition." So, naturally, I had to try it out. Let me tell ya - There's nothing like it. Great stuff. I know what you're thinking - Diet Coke and M&Ms? Yeesh! 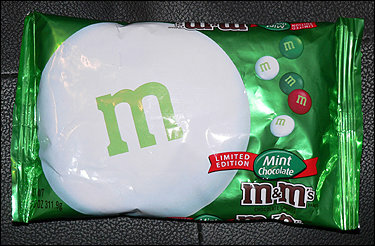 Anyway, if you haven't tried it out, I recommend the holiday edition of mint chocolate m&ms. They have the Dr. A seal of approval! Are you tired of the high gas prices out there across the state and across the country? Well, then why not drive to Salem where we have the lowest gasoline prices in the entire state of Ohio, according to Ohiogasprices.com (at least as of this posting). You can read all about it in our local newspaper. Salem — Christmas presents came early for Salem area residents — gasoline prices that appear to be the lowest in the state. Smith Oil on East State Street posted its lowest price in some time Tuesday — $2.71 a gallon. “We’re swamped,” said Paula Crum, station manager. Out-of-towners are among those filling up. Crum has spoken with numerous people from the Youngstown area and Pennsylvania who were driving through town and stopped when they saw the prices. These people know a good deal when they see one. Ohiogasprices.com lists Salem has having the lowest prices in the state. The Web site, which uses prices reported by drivers, lists five Salem stations as the only ones in the state to have prices under $2.80. No other area stations were even close. I briefly talked about this during my show last week. About a year ago, I was totally against social networking sites. In fact, I have made fun of them in a post back then. Maybe it was just an anti my space thing. Who knows? But, since then, I've been further exploring and investigating this. I guess I really started appreciating social networking after I got my radio show up and running. Through some of the features on Blog Talk Radio, I how have supporters of the show who call themselves "friends" and even make my show a "favorite" (Thanks so much). After that, I started doing a little bit more with my Twitter account. And then, someone invited me onto Pownce. Although, I admit that I'm not as much a Powncer as much as I am a Twitter. You can definitely waste a lot of time on these sites. Which leads me into Facebook. For months and months, I've been hearing the hype from the media. And, I've had people send me invitations for be Facebook friends, but I initally ignored them. Not anymore. Last week, I opened a Facebook account. I was kind of inspired by my podcasting Facebook friend who is the Dashing MD. Or, his Facebook profile lists him as "Dashing Docteur." So, naturally, I had to seek out the Facebook name "Docteur Incognito." That has kind of ring to it, doesn't it?